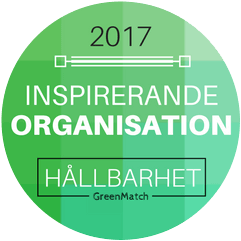 We are proud to be recognised as one of Swedens most inspiring organisations in the field of Sustainability by GreenMatch. Mathias Lehtinen from Green Match asked Solvatten for a comment. What does Solvatten think is most important to ensure a sustainable future? “Sustainability calls for big bold thinking. There is a need for political leadership and some kind of control and responsibility that limits the negative effects that the society creates. For example, we need to regulate and put a price on what a ton of emitted carbon dioxide emissions actually costs. We must be progressive and dare to think with a new perspective and with the long-term in mind to ensure a sustainable future. And it’s only by cooperating that this can be achieved”. Read more about GreenMatch’s award here.